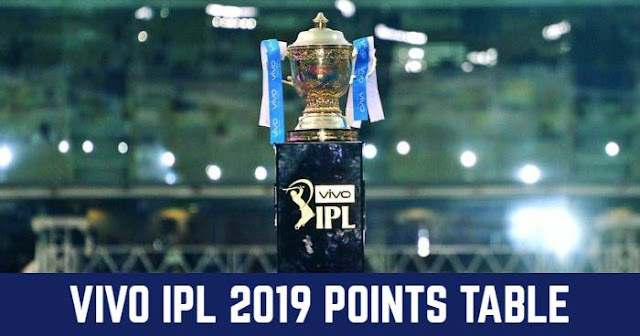 Auction of the 11th season of Indian Premier League (IPL 2018) is to be held on 27 and 28 January. As reported earlier a total of 1122 players have signed up for IPL 2018 Auction out of which 281 are capped players and 838 uncapped players which include 778 Indian players and 3 players from the Associate nations. The Board of Control for Cricket in India (BCCI) has sent the list to the eight franchises. With this also the players in the top three base prices; Rs 2 crore, Rs 1.5 crore and Rs 1 crore are released. 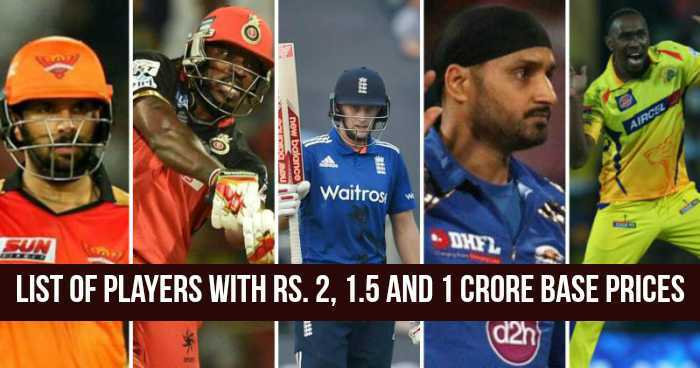 There are total 36 players in the top base of Rs 2 crore out of which there are 13 Indian players and 23 overseas players. Indian players: R Ashwin, Yuzvendra Chahal, Shikhar Dhawan, Gautam Gambhir, Kedar Jadhav, Dinesh Karthik, M Vijay, Ajinkya Rahane, KL Rahul, Karn Sharma, Yuvraj Singh, Harbhajan Singh, Robin Uthappa. Overseas players: Rashid Khan, Pat Cummins, James Faulkner, Josh Hazlewood, Mitchell Johnson, Chris Lynn, Glenn Maxwell, Marcus Stoinis, Mitchell Starc, Cameron White, Eoin Morgan, Liam Plunkett, Ben Stokes, David Willey, Chris Woakes, Corey Anderson, Brendon McCullum, Quinton de Kock, Colin Ingram, Angelo Mathews, Dwayne Bravo, Chris Gayle, Kieron Pollard. Indian Players: Amit Mishra, Jaydev Unadkat, Kuldeep Yadav, Mohit Sharma, Washington Sundar. Overseas Players: Aaron Finch, David Miller, Evin Lewis, Faf du Plessis, Harry Gurney, Hashim Amla, Jason Holder, Jason Roy, Joe Root, Jonny Bairstow, Jos Buttler, Kagiso Rabada, Kane Williamson, Kyle Abbott, Lendl Simmons, Mark Wood, Michael Klinger, Moeen Ali, Moises Henriques, Nathan Coulter-Nile, Nathan Lyon, Peter Handscomb, Ravi Bopara, Shaun Marsh, Steven Finn, Travis Head, Trent Boult. Indian Players: Mohammed Shami, Mohammed Siraj, Parthiv Patel, Piyush Chawla, Umesh Yadav, Vinay Kumar, Wriddhiman Saha. Overseas Players: Adam Zampa, Alex Hales, Andrew Tye, Ben Cutting, Carlos Brathwaite, Chris Jordan, Dale Steyn, Daniel Christian, Dwayne Smith, Jason Behrendorff, JP Duminy, Lasith Malinga, Manish Pandey, Mitchell McClenaghan, Imran Tahir, Mustafizur Rahman, Sam Billings, Samuel Badree, Sanju Samson, Shakib Al Hasan, Shane Watson, Tim Southee, Tom Curran, Tymal Mills.